Chevy is known just as much for its car manufacturing as it is its line of trucks. There are more cars sold under the GM brand name than Ford or Chrysler. Names like Buick, Pontiac, Oldsmobile, Cavalier, Cobalt and Impala have all achieved sales success in part due to powerful Chevy engines inside. 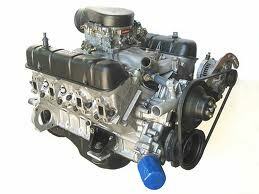 We sell rebuilt Chevy car engines for sale that are in excellent condition. There are no special alterations required when you go to place one of these engines inside of any Chevrolet car. Our expert rebuilders are Chevy certified and make every Chevrolet car engine we sell comparable to a brand new motor. Many of the engines that power automobiles worldwide are Chevy based engines. We have inline 4-cylinder, 6-cylinder and V8 motors that are all remanufactured. We do all of the work for each rebuild inside of our own facility. When you buy a reman motor, all of the old parts are removed and the engine is tuned correctly with OEM parts. This is very similar to having a brand new GM engine for a really cheap cost. We have went out and hired the absolute best Chevy mechanics that know every engine and how to rebuild them. We don’t have to pay a middleman. You buy direct from the source. That’s right you read it correctly. We know that the best engine warranty you can find online is only 12,000 miles or one year. This is standard in the industry. We take things a bit further. We can’t expect any customer that puts our engines into a Suburban or Saturn to not have problems eventually. It’s just not believable. We extend our coverage to you for 36 full months. This means that any OEM part we used and our labor is warranted for this period of time. You have unrestricted miles. We don’t count mileage and then blame you if a part fails. We’re honest people that sell awesome Chevy motors. We make your life easier and not complicated. The testing that goes into each of our engines is unbelievable. We put hundreds of man hours each week into just testing and development. We perform a range of tests to be certain that what we rebuild conforms to GM requirements and will hold up to the rigors of the road. We check things that other sellers do not. This includes oil compression, gaskets, fans, plugs and ignitions. You are getting a totally reconditioned engine for less than a used one. We guarantee it will be like you expected and super clean. We work hard to build our reputation online. What’s Our Price for Chevy Car Engines for Sale? Get it online or by calling 1-877-630-3873. It’s that easy. You call and speak to actual Chevy car engine specialists. We are not a call center fielding calls for a distributor. We remanufacture each engine. We process your order. We ship it to you. You save a ton of money. Do you see how that works? We ship thousands of Chevy motors each year from our warehouse. Let us ship one to you.